Recfishwest welcomes continued commitment to support safe fishing as major milestone achieved. In a huge achievement for fishing safety in WA, the 50th Angel Ring has recently been installed at high-risk fishing locations across the state and Recfishwest has plans to install plenty more in the coming year. 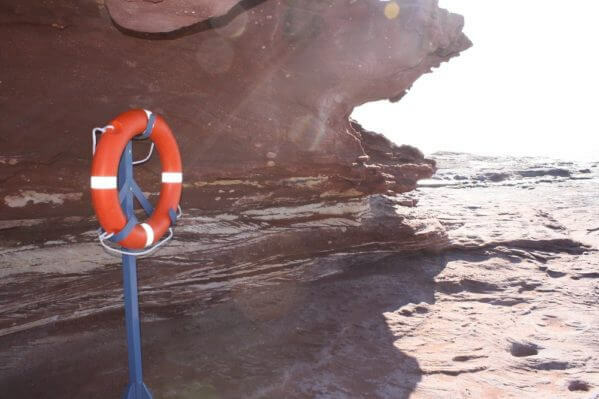 Angel Rings (or Life Rings) are an important piece of public safety equipment and are an effective tool to help save lives, especially amongst rock fishers. Recfishwest Chief Executive Officer Dr Andrew Rowland said fishing safety developments over the past few years had come on leaps and bounds and this is a milestone for which all involved should be very proud. “Our commitment to improved safety stems from the fact that we want to see all fishers return safe to their family at the end of a days fishing,” Dr Rowland said. “We are very pleased to see the McGowan Government support this program, whereby a relatively small amount of funding greatly increases public safety outcomes,” Dr Rowland said. 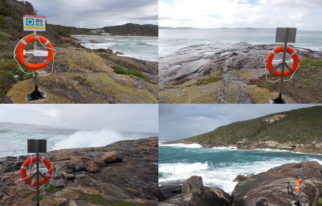 • In WA alone there have been 26 rock fishing deaths since 2002, despite this, some fishers are still putting themselves at risk of injury or death. – 21 locations have been established between Esperance and Carnarvon where the public can borrow 150 free life jackets. • The Government has funded the program $140,000/yr for the next three years in a bid to reduce fishing related drownings and incidents.